According to the 2017 TCP Survey, 68% of ready mix producers are feeling optimistic about expected higher revenues in 2017. 43% of producers have added product lines. 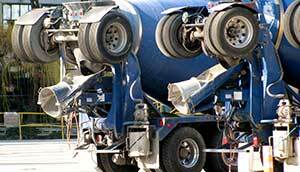 If you are looking to add a complimentary product line to improve your profitability, look at some of the most popular Nox-Crete concrete chemicals. Nox-Crete has enjoyed "contractor choice" status since 1956. Contractors across the country use and request our products every week. Partnering with Nox-Crete to offer our Leader Line of competitively priced concrete chemicals can add margin to each load without a lot of sales emphasis. With more margin, you can invest money in mobile equipment and automate manual processes with inventory control and dispatching systems and batching software.